Besides provision of standard e-Commerce solutions supporting traditional on-line sales functions, DMC Web Services specialise in bespoke e-Commerce systems development, where the standard e-Commerce functions are not suffice, or where specialised, non-standard functions are required. Why should we consider a bespoke system? A significant proportion of your system requirements are not met adequately using standard eCommerce functions. 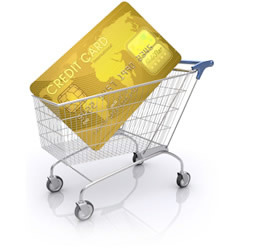 You wish to sell on-line but don’t need all the functions associated with a full eCommerce system. You just want a site that is unique! Before creating a bespoke system, you will require a specification document, sometimes referred to as a functional specification. This document acts as a guide and frame of reference when building a bespoke system of any kind and details exactly what the proposed system should do and how it should work for the user (customer), you the owner (admin) and for any other parties who need to use the system such as suppliers or members. Do I need a functional specification? Would you start building a house without details of how many rooms you need, their sizes and location, or where you want to put the windows? Yes, you need a functional specification, and this should be as detailed as possible within reason depending on the wider objectives and budget/timescale for your project. No professional web development firm should provide you with a quotation for a bespoke system without having read through your functional specification carefully and ironed out any elements requiring more detail or clarity. What if the specification needs to change? It is not uncommon for functional specifications to be altered during development, and indeed for larger projects it is almost a certainty that something will need to be amended along the way. If your specification needs to change for whatever reason we simply agree the change and both parties sign-off on the detail of this in a revision of contract. You may already have a specification for your proposed site, or a basic idea of how you wish it to operate. Please do not hesitate to contact us on 0845 108 0736 for an informal consultation, and we will be happy to guide you in the preparation of your specification or evaluating one you already have.